Social enterprises are businesses that sell products or services to advance their mission. The combined cost of a criminal conviction and a year of incarceration can exceed $70,000. Employment is key to breaking out of poverty and staying out of prison. 93% of these formerly chronically unemployed women are still employed a year later. All graduates move on to jobs in the community. Free shipping on all orders $50+! Dog Biscuits are 25% off! This cornbread comes with an added kick and a hint of sweetness that will bring more flavor to any meal or party. Grease 8 x 8 pan and preheat oven to 400 degrees to prepare. Add cornbread mix, milk, eggs and oil into large mixing bowl. Stir until combined well. Add cubed pepper jack cheese and jalapeños to the mix. Stir. Pour mixture into greased pan. Bake for 30-35 minutes or until an inserted toothpick comes out clean. The top should start to appear golden brown and slightly crispy. Allow to cool in pan before slicing into desired size squares. Drizzle with honey to serve. 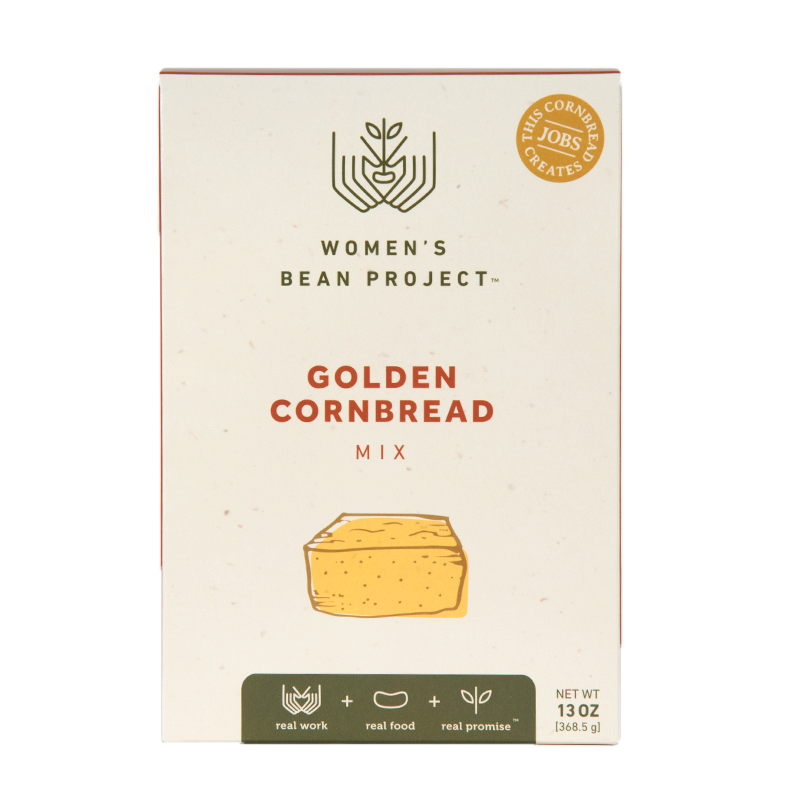 Sign up to get Women’s Bean Project emails delivered to your inbox. You choose the content you are interested in receiving, like product sales and promotions, delicious recipes, and other WBP news. You can always change/update your preferences later on. 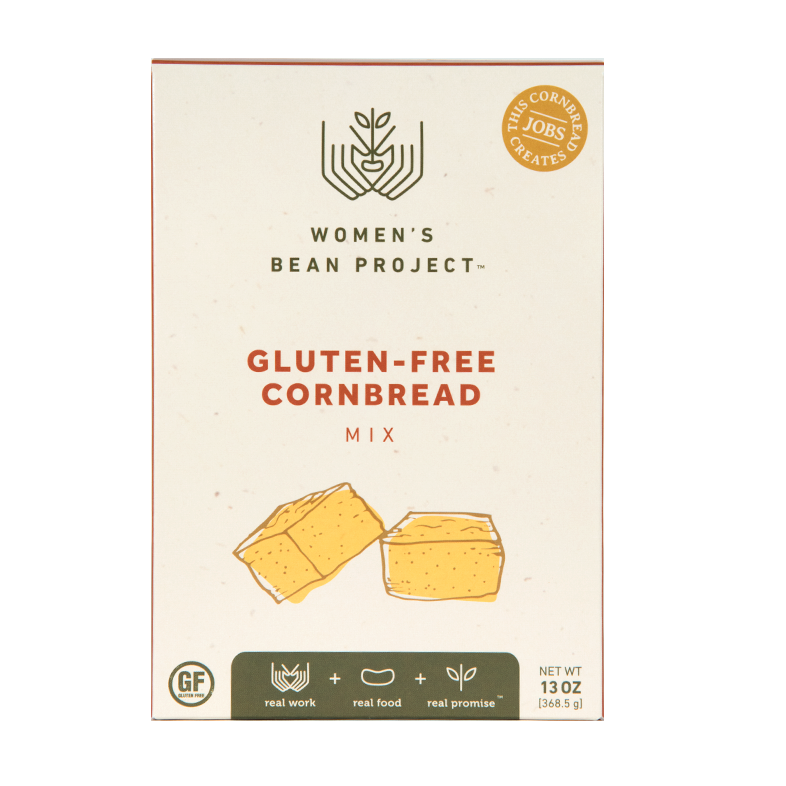 © 2018 Women’s Bean Project. All rights reserved.